With Valentine's Day on the horizon, today's quote had to be about love. That said, I try to celebrate love and make it the driving force behind my choices every day. It can be love for myself, my family, my friends, my life, etc. This quote speaks to why. I've been through a lot in life and last year, a few major things piled on, which made me want to retreat into Pityville. I got past that by having faith that everything will be fine. 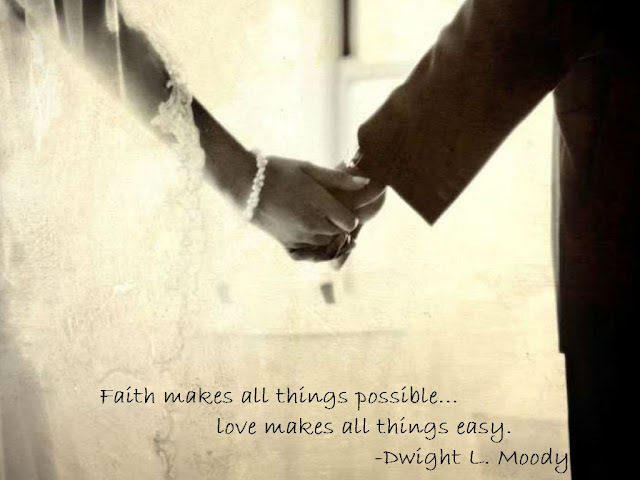 Having my family, and specifically my husband by my side made it easy to keep that faith. Love is powerful and it is enough to keep me moving. Happy Monday! Photo by Stacey Ilyse, taken on my wedding day.